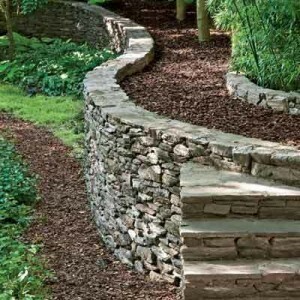 Retaining walls are a fantastic landscaping choice for dealing with changing soil grade. 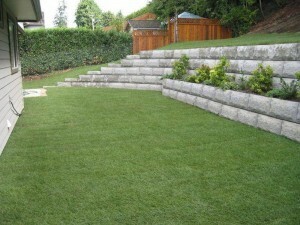 When you decide to have a retaining wall installed, you have many options. 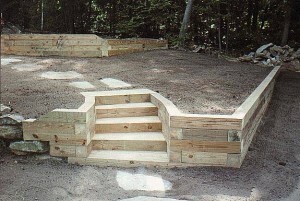 Team Work Fencing can design and install these and a number of other styles of retaining wall. A timber retaining wall can be very simple and cost-effective, particularly for minor slop correction, although it can also be used for bigger soil variances as well. 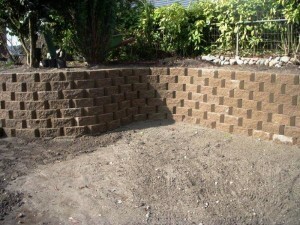 Another popular option is a concrete block retaining wall. Concrete blocks are good choices because they are durable with low maintenance, and are available in a wide variety of colours and styles that are sure to fit your personal taste, as well as complement your landscaping. 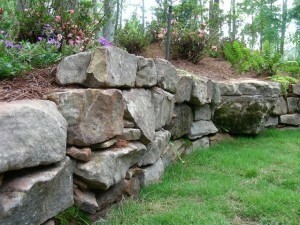 If desired, your retaining wall can be created with natural, rough materials such as large stone and rock. These retaining walls are created using a hidden layer of mortar and wire to ensure stability while providing the rustic, natural aesthetic look of stone and rock. 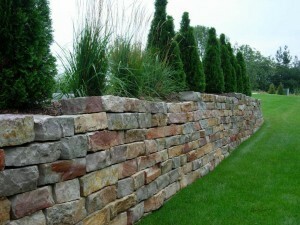 Stone block retaining walls are aesthetically somewhere between concrete block walls and rougher stone walls. They are a good choice for many landscapes and can easily be built around curved structures. For more information on retaining walls, or to set up a free consultation, contact Team Work Fencing today!